Why should your home staging business be on Google Plus? Think Google + is a waste of time and you don’t really need to learn another social network for your home staging business? Well, think again. While I love Chris Brogan’s infographic on this subject, the reality is that there is one HUGE reason you need your home staging business on Google+…. SEO (Search Engine Optimization). The truth of it is that Google, the largest search engine out there, has started including data from Google+ in it’s rankings. Have you noticed this on the upper right of your google searches? Whether the little man icon or the globe is selected will determine how your results are sorted. The man means that what your friends share will help determine how things are ranked and the globe means that it will be without that weighting. 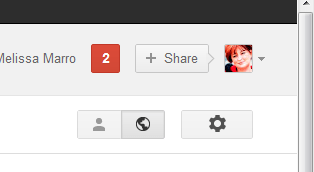 If you think that Google plus isn’t as important as Facebook, Linked In or Twitter, think again. Whether anyone is using it or not, Google thinks it is important, and so it is. « Facebook or Blogging – Which is better for your home staging business?